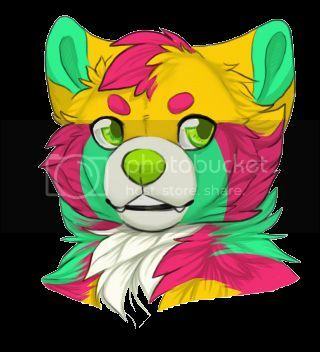 Original species - furries on furry - Furtopia | Family Friendly Furry Forum and IRC Chat! What are you feelings about original species? I know there's a lot of ways in which it has been done, for all sorts of reasons - fiction, fun, profit, personal use. Have you made any of your own, or use/are any? I'm not talking only about 'closed species' - the type that apparently has become 'a thing' or something in the fandom (at least thats what I've heard on weasyl, though I wouldnt know personally since we live under a rock ), because people are trying to sell characters & commissions, while maintaining a monopoly on that species. Vaalsark (lore coming in the form of more mods & art on weasyl): http://www.nexusmods.com/skyrim/mods/13561/? i think they are neat. sergals are my favorite. chakats are cool to, but im not that big into taurs. ive seen a few taur pics ive liked, but not too many yet. Thrulls: Raccoons with the added agility of lemurs. Part of the reason Rhasken can match Altaïr when it comes to leaping around like a wildman. Rhasken and Syn are both "the old breed", as they started as thrulls, but have since been converted to standard raccoons to fit in better. Skiim: Anything from stoats to wolverines. They had a tendency to snap with no explainable reason, often acting violently, lethally even towards anyone that isn't another skiim. After about 5 to 10 seconds they would carry on, oblivious of what they may have done. Vuline: Deer people. Psycho hippies who love the forest, and wear armor made of their ancestor's bones. They also have longbows that fire 5 foot long arrows and can cut some of the smaller races in half. Never had a named character of one of these, though a few of them had semi-important roles in a few different campaigns. Kyso: We are bats, and we hate all of you because you're too damn loud! Never had a (named) character of one of these, though me and Sarngier did play a quick campaign as a pair of Kyso. That was also the first time we met Ferret, a skiim who exists to this day as the character with the most screwed up mind, ever. Rell: Wuff wuff. That's about it. There were a few Rell characters in the old campaigns, but none of them were important, they were mostly generic NPCs. Rekell was a Rell back in the day; nether him or Kyne have had a place since the fall of Markress, and i find that very sad. Kelm: Foxes. Really, that's all they were. Kyne was one of the first major kelm characters and still one of the most epic characters i've created. She has never been in any official campaigns or stories, but through the half baked plots and semi-dysfunctional stories and one player RPs, she's earned her greatness. Amyen was a idea for a kelm that has been around nearly as long as Kyne, but was never used until very recently. Temya was listed as a kelm when i created her for ADVENTURE 0001. Wolvarks: Mix a warg from Lord of the Rings and a balverine from Fable. Krugar was a wolvark before i made him a hyena, and i plan on digging him up for a 1 x 1 in the future. He was also one of the three who survived the pit fight in the "plooge" campaign, the other two being Rhasken and Skeskin. Yes, all three, and Skeltan where created at the same time, and all of them were awesome. Skeltan got cut in half vertically mid battle, but he was just as epic the others. The remaining three were so good that they beat the champains and the pit master, leaving the pits in their hands. Then the "plooge" showed up and the mountain men and goblins and all that crap happened, but that's another story entirely. Gnari: Hyenas, though Markress collapsed before they were used any. Zerik was classified as a Gnari when he was created for ADVENTURE 0001. Verlash: Rats who could weld using magic. They also collected as much useless junk as they could get get their claws on, and horded it. Verlash towns literally looked like garbage dumps, and often times were after their formation. The Ranter was, and always will be a verlash. Nagnur: Opposums. Spoonman encountered a traveling caravan of Verlash and Nagnur (the two are often found together) which he effortlessly convinced to join him and his evil army. Baan: Bears bears bears bears bears bears bears bears bears bears bears bears bears bears bears bears bears bears bears bears bears bears bears bears bears bears bears bears bears bears bears bears bears bears bears bears bears bears bears bears bears bears bears bears bears bears bears bears bears bears bears bears bears bears bears bears bears bears bears bears bears that wear plate armor and are strictly religious. They weren't used much. Narkka: Pangolins, and they hated everyone and everything. So much so, in fact, that they attempted to take over the world. They were basicly unbeatable, even with the combined forces of the thrulls, baan, vuline and goblins working together to stop them. Then the Ral showed up (or really, just Teth and Maulmang) and they turned into bowling pins, with the end of his lance being the bowling ball. Then a ker showed up and he killed that too (imagine riding on a giant wolf, jumping off of it onto a dragon, and killing it with a large knife), so Ral was kinda really interesting once that happened. Nantive: Bugmen. They don't get it. Stilt Walkers: Also bugmen. The don't get it ether. Wrak: I'd explain, but this is much easier. We also have Skeb and Ombute and stuff, but they're too "human" for you racist fleabags to care about. There's more, i'm sure of it, but that's all i can think of at the moment. Kobolds: Kobolds are a classic fodder enemy in D&D, but like the goblins, we got them up to par with the rest of the races, though koblods were still pretty low on the totem pole. Get a green anole, prop it up on its hind legs, give it more manipulative hands, and that's about it. The most common colors of kobold are pale red, pale blue and standard green. Skeltan, Skeskin and Skravmar are all kobolds. It is important to know that Skeltan and Skeskin are NOT related in any way to Skravmar. I made wolves called Solarins they use fire and have fire colored coats. Think about it, dragons, lore, swordplay, adventure, mythical universe, magic, and furries!